You'll discover tucked-away gems like Echo Point Lookout and Govetts Leap. When in Sydney, make a side trip to see Wentworth Falls in Katoomba, approximately 1h 30 min away. There's lots more to do: see a show at Sydney Opera House, take in the views from Sydney Harbour Bridge, stroll through Manly Beach, and take a stroll through The Rocks. To see photos, maps, other places to visit, and tourist information, read Sydney online trip maker . Philadelphia, USA to Sydney is an approximately 26-hour flight. You can also do a combination of train and flight; or do a combination of train, subway, bus, and flight. The time zone difference when traveling from Philadelphia to Sydney is 15 hours. 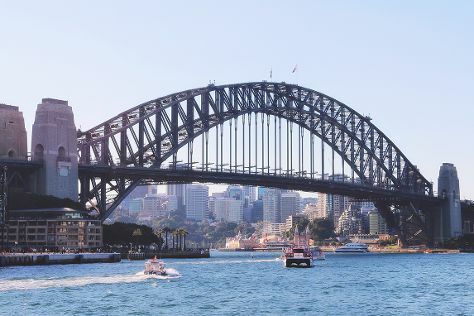 Prepare for little chillier weather when traveling from Philadelphia in June: high temperatures in Sydney hover around 65°F and lows are around 50°F. 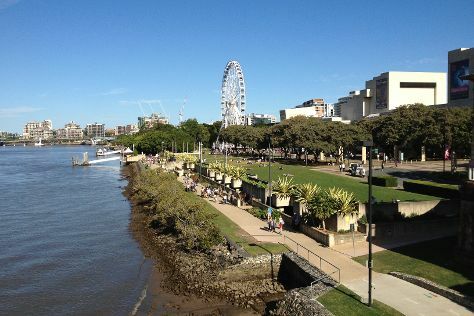 Wrap up your sightseeing on the 23rd (Sun) to allow time to travel to Brisbane. Explore hidden gems such as Coolangatta Beach and City Hall. Explore Brisbane's surroundings by going to SkyPoint Climb (in Surfers Paradise), Pelican Feeding (in Labrador) and Mary Cairncross Scenic Reserve (in Maleny). Spend the 27th (Thu) with some fine spirits on a distillery tour. Next up on the itinerary: stroll around South Bank Parklands, examine the collection at Museum of Brisbane, look for all kinds of wild species at Lone Pine Koala Sanctuary, and admire all the interesting features of Suncorp Stadium. To see reviews, photos, traveler tips, and more tourist information, read Brisbane driving holiday planner. Getting from Sydney to Brisbane by flight takes about 4 hours. Other options: do a combination of flight and bus; or drive. In June, daytime highs in Brisbane are 70°F, while nighttime lows are 53°F. On the 28th (Fri), wrap the sightseeing up by early afternoon so you can travel back home.